Any one quiz costs £20.00 or buy any three quizzes for £50.00. Postage and packing costs are included to any address within the United Kingdom. The CD supplied, besides containing the PowerPoint slideshows featuring the quiz questions and answers, will contain Word files that provide instructions on how to play the quiz, the quiz answers record and additional information relating to the quiz answers. These files can all be printed off the CD. Please e mail if you wish to buy a single quiz or any number of quizzes. The e mail address is grahamquiz@aol.com . You can e mail me at any time. 1. The quiz number, or quiz numbers, you wish to place an order for. 2. Your name, full address including postcode, and a telephone contact number. 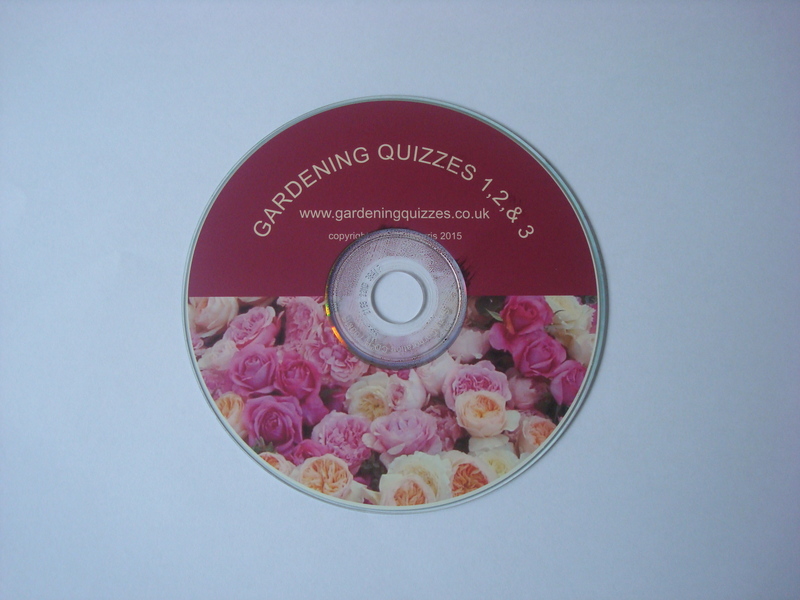 Your CD containing the gardening quiz / quizzes will be sent to you by post in a padded envelope. An invoice will be enclosed so you can arrange to make payment after receiving the CD. I can accept payment by bank cheque or faster payments bank transfer. Please contact me on 01639 722105 if you wish to speak with me by phone about the ordering procedure, or prefer to place an order by phone. If you would rather write to me to place an order then my address is Gardening Quizzes, Maes y Berllan, Glynneath, Neath SA11 5RU. Please click on “PLANTS FOR SALE” on the navigation bar at the top of this page for information on how to order plants that I have available for sale from time to time and details of how to place an order.